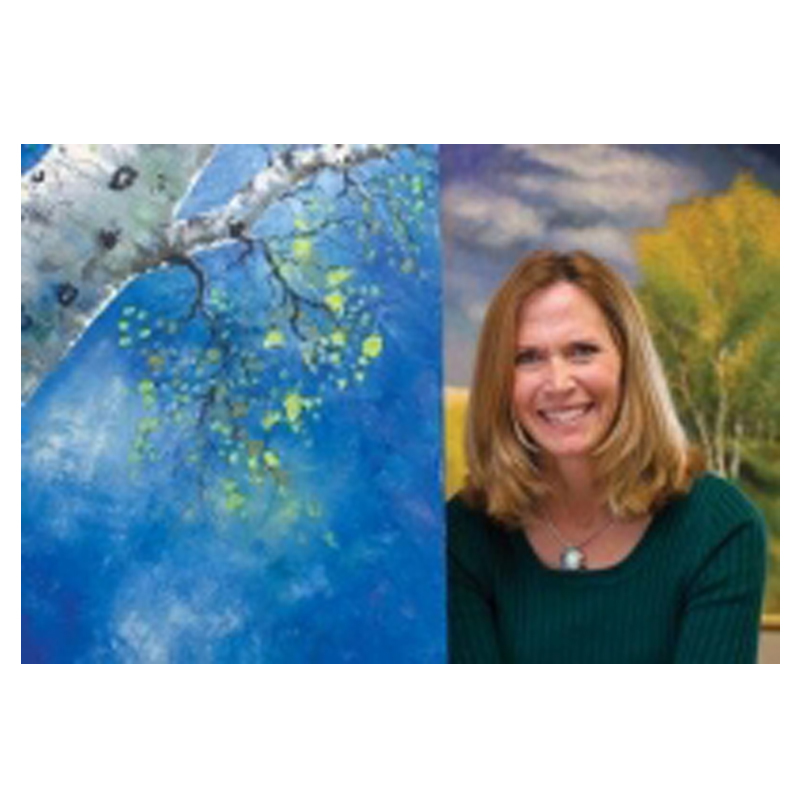 A Colorado native, Rebecca Hilley, has been painting most of her life. Rebecca has been greatly influenced by her love of the rocky Mountain region. Her paintings express a strong sense of free movement and boldness yet are ever so delicate in concept. Incorporating collage into her work, she often uses various imported papers. Rebecca has developed a distinctive style combining watercolor, pastel and acrylic which creates a subtle translucent effect. Her work has been enthusiastically received and collected throughout the country and abroad. Rebecca, with her husband and two daughters make their home in the beautiful region of Steamboat Springs, Colorado.